So, Basement Jaxx have finally announced their long-awaited new album, their first one since 2009's Scars and Zephyr. 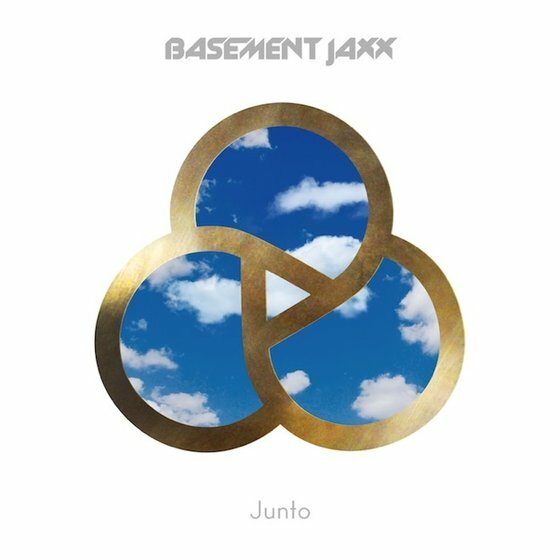 The album is called Junto, which means "together" in Spanish and stems from "Jaxx's desire to unify people with their music". This is what Felix Buxton, one half of the eclectic duo, had to say about the forthcoming record: "With this album, we wanted to do something that felt more at one with the world". But what does that exactly mean? Are there more 'world music' influences than before? More of a 'something for everybody' approach? That I don't know, but what I do know is that we will found out on August 25 - that's when the album will be released. Meanwhile though, the Spanish title could provide us with a hint. Spanish influences and guitar-tinged Latin music has often proved inspirational to the duo, with tracks like "Samba Magic" or the more recent "Mermaid of Salinas" in their back catalogue. Perhaps there will be more of that around this time? The mysterious logo has also been all over the place ever since the reveal of their latest single "Unicorn", and the intertwined lines likely represent the 'togetherness' of the album theme. Now, there's some noteworthy details within that tracklist. Most notably, it actually omits their two previous singles from this era, "Back 2 the Wild" and "What A Difference Your Love Makes". The former was kind of rubbish to begin with but I would've loved to see the latter receive a proper album release as well. Interestingly enough, the B-side of "What A Difference Your Love Makes", the aforementioned "Mermaid of Salinas", is included on the LP. Songs like "We Are Not Alone" and "Power to the People" seem to mirror the overall theme, with the latter sounding like it could even carry a proper political message, Basement Jaxx style. I wonder if the song title was inspired by the UK's this year's Eurovision entry...? However, the iTunes tracklist shows that the special edition features another 12 tracks, and these include "What A Difference Your Love Makes", alternative versions of album tracks "Never Say Never" and "Mermaid of Salinas", plus three remixes of "Back 2 the Wild". And to wrap it up, here's a nine-second album teaser. You won't get much out of it, though.